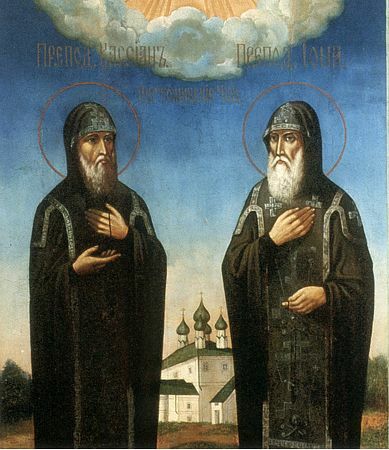 The Monks Vassian and Jona – were monks of the Solovetsk Transfiguration monastery and disciples of the holy Hegumen Philip, who later became Metropolitan of Moscow (+ 1570, Comm. 9 January). The holy monks were glorified by the Lord after their death (1561). Fishermen and sailors came to pray in the chapel, erected in 1599 over the place of their burial by the Trinity-Sergiev monastery elder Mamant. And in 1623 the priestmonk Iakov founded there a monastery, receiving the name Pertominsk.